Check it out. Updates in the “release notes” tab. Right now the model allows for both fixed-rate and ARM mortgages. ARM reset/recast equations are set (pretty sure about it at least! ), home price appreciations fluctuate according to a random normal distribution bounded by mean/stdev from Case-Shiller Composite-10 data by default, although if a user has less optimistic assumptions (particularly about the mean monthly appreciation) it changes the outcome significantly. Eventually we’re going to put this into an integrated tool with monte-carlo simulation showing the distribution/probabilities of outcomes to help users select the best option given their inputs/assumptions. Eventually being the key word. Open Source Rent v. Buy Model version 1.2! Available for download @ 1-2 Knockout here. Made a few updates, added/fixed some calculations, detailed in the “release notes” tab. Working on modeling the floating rate/Option-ARM payments/interest expense. Anyone who wants to jump-in (that’s you, mortgage finance guys) go wild (please)! 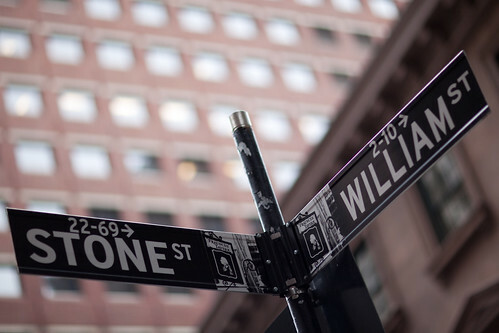 We’d like to welcome the following great sites to the Stone Street Advisors Blogroll. Keep up the good work! As with all of the other great names in our similarly fantastic blogroll (if we may say so ourselves), we strongly suggest you check out these sites if you haven’t already! One of the things that puts a huge smile on my face is listening to people talk about this particular trade they are getting into, because its one they really get excited about. If this sounds like one of the worst ideas ever put together that’s because frequently it is. Welcome to the fund creating real systemic risk: American Dream Capital. Sadly, that’s exactly how most people approach deciding whether to rent or buy, and how much they can afford to spend on each. With the internet, literally more information than 99% of people can comprehend is at your fingertips, and there’s absolutely NO REASON for anyone to be able to claim they bit off more (mortgage) than they could chew because they didn’t know the rate was going to jump or whatever other bullsh*t excuse they may try to use. If you know how to read, and you have access to a computer (i.e. anyone who’s buying a home or signing a rental lease), there’s several calculators online to figure out what you’re getting into. I didn’t love any of the tools I found online, for example this overly-simplistic one – in my opinion – from 2 months back in the NY Times, so I decided that we’d build our own. Thus, I present to you version 1.1 of our Open Source Rent v. Buy Model (note: for some reason WordPress won’t allow us to upload the Excel file here so that’s why its hosted @1-2 Knockout on typepad). This model takes (or will take, in certain situations) into account every expense we could think one might encounter when renting or buying a home. Certain figures are hard-coded based on our research. Others can be modified by the user (potential buyer/renter) based on their estimates (which themselves SHOULD be based-upon solid research) to help them decide to rent or buy, and how much they can afford to spend on each. Just to make this as clear as possible before anyone jumps down my neck: I did this model quick & dirty, that is, don’t be surprised if there’s a few screwed-up formulas/typos/etc. Part of the motivation for making this Open Source is so you CAN find any mistakes and fix and/or improve them! Basically what I’m saying is that it’s a team effort, and that was our intention right from the start. So, while this is a work-in-progress, i.e. we know the Model isn’t complete, however, because the basic structure and functionality is in-place, we’ve decided to publish it and make it publicly available to view and modify in/from its current form. Anyone is welcome to download the Model and play around with it or use it for their own purposes, however, we request that it not be used for any sales/marketing purposes, and assume zero liability for any decisions made as a result of using the Model, nor any responsibility for the accuracy of any of the figures or calculations contained therein. Beyond that, we hope to be able to work from here and develop a robust decision tool to help people make informed financial choices. Any/all constructive commentary is welcomed, nay, encouraged! Let’s all put our skills and effort together to do something that’d help everyone, financial professional or not, avoid being the dumb money. Thanks to @zerobeta, I’ve uploaded the document to Google Docs. Email me to get permission to view, or just download the .xls, edit and email me the doc with your updates and I’ll share it with the world!